← This much I know about…being coached to improve my body language! I have been a teacher for 25 years, a Headteacher for 10 years and, at the age of 49, this much I know about the lack of space for student flair in our examination system. I’ve never used a course text book. I’ve taught English for a quarter of a century and designed all my teaching materials. I will be looked upon dimly by Liz Truss MP, Parliamentary Under Secretary of State for Education and Childcare, who emerged recently as an avid fan of text books…when speaking to an audience of publishers. Just teach the subject well. I began teaching in a sixth form college with five A level groups in my first year. I loved it! In those days I believed (with the idealism of youth, quite rightly) that examination success would be a by-product of teaching students to be active readers of literary texts. Today the mark scheme is god. 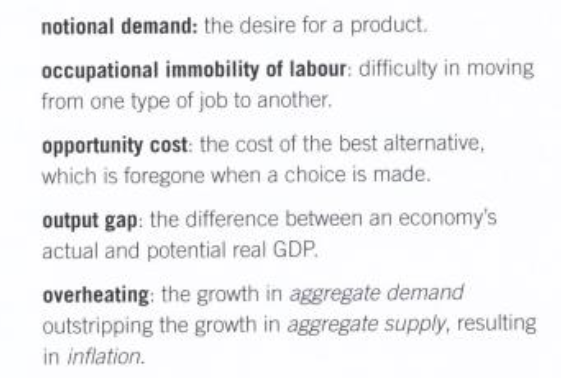 Teaching Economics A level has been a slightly depressing experience. It’s hard not to be reduced to teaching to the specification. And students are dismayed by this emphasis upon teaching to the examination mark scheme rather than teaching the subject. Recent student Harry Cunningham, writing in the Guardian, reflected upon his education under Labour and then the Coalition, saying, Throughout my time at school, but particularly during my GCSEs and A-levels, I was constantly frustrated by the emphasis on assessment and marking. The entire system seemed geared towards the end result: the grade rather than the content, and this inevitability led to a feeling I would have been better off going home to study independently. Sadly, I can identify with Harry from the Economics teacher’s perspective. 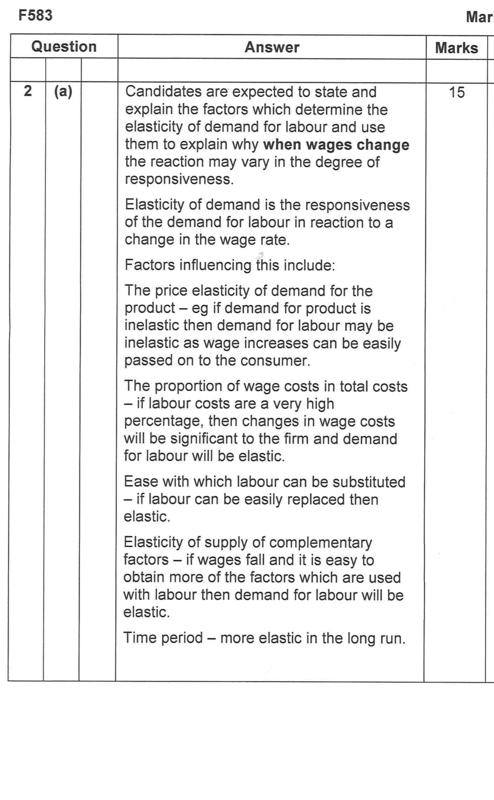 Here’s the deal…It costs £78 to enter one student for the full four unit OCR A level Economics. The OCR endorsed Economics text books cost £43.25. Everything you need to know about Economics to gain an A* in the OCR A level Economics examination is contained in those two books. Pay OCR/Heinemann £121.25 and they will see how much of the OCR endorsed Heinemann text books a single student can regurgitate. The relationship between OCR and Heinemann is surely unhelpful in developing talented, free-thinking economists. We live in a world where examination markers are thin on the ground: the mark schemes enable anyone with a basic understanding to mark the Economics examination papers; if they are unsure, they can always refer to the OCR endorsed Heinemann text books. And here’s the Waterstones blurb for the A2 book: This is an accessible, engaging student book that is tailored to the new specification. It is complete with a range of inspiring activities for use in class, or for homework, it helps to add variety to lessons. Succinct definitions for key terms are highlighted for easy reference. Exam advice and topic-specific pointers ensure exam confidence. Full colour diagrams clearly illustrate key concepts. Real-world activities bring learning to life and reinforce understanding. Relevant, up-to-date examples are worked into the text to ensure lively, enjoyable learning. 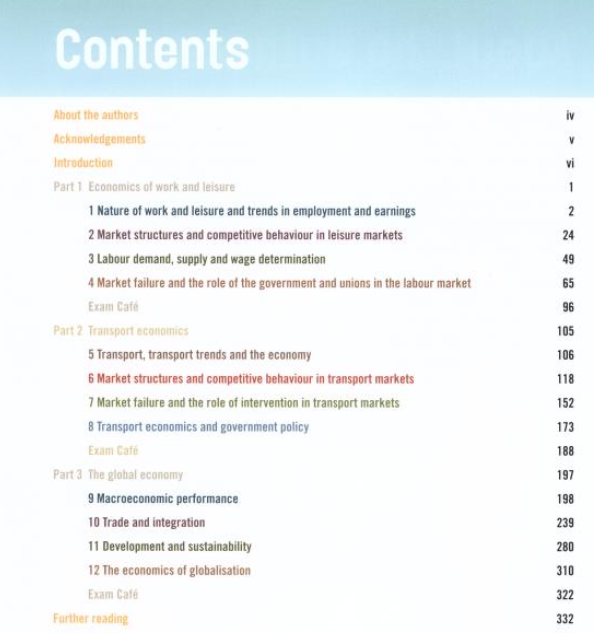 To make planning straightforward, the book includes both optional units (Transport Economics and Economics of Work and Leisure) as well as the mandatory final unit on The Global Economy. Where is the place for a student to express flair? One of my Economics students, Luke, gained a grade C in the final Unit 5. 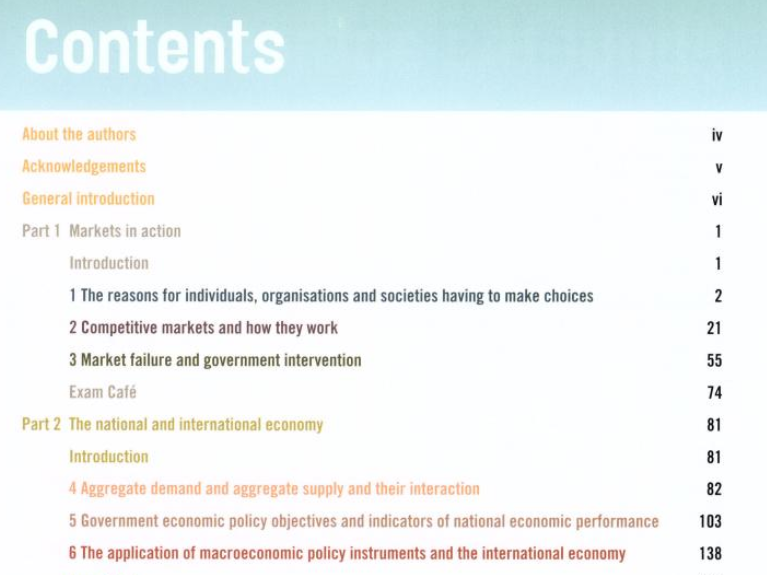 We’ve looked at his paper and it is a superbly written response to the questions asked, but explores relevant economic content which isn’t detailed on the mark scheme and cannot be found in the OCR-endorsed Heinemann textbook. Now, with inexperienced markers who cannot exercise professional discretion, if it ain’t on the mark scheme it ain’t gonna get any marks! 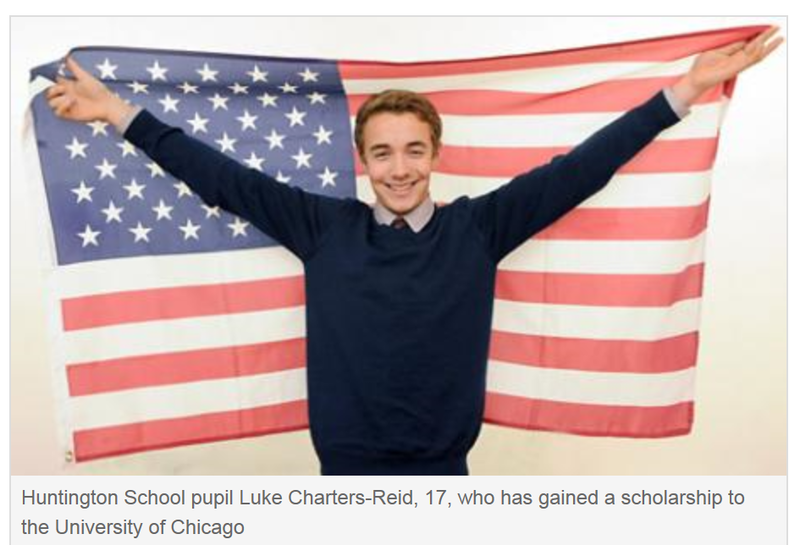 And Luke, by the way, was offered a $270,000 bursary to study Economics at Chicago but chose the PPE course at Oxford instead. How to get full marks. In a recent paper 3 mock exam two of my students gained 57/60. When I talked to them they said they had been working through the text book at home and just learning it. They said my lessons were good, but they’d realised that what they had to do to do well was learn the text book verbatim; Harry Cunningham’s reflections made real…I would have been better off going home to study independently. Whose media? Whilst we have the text books, there is great content on-line for free. I have fallen in love with the author of this website: http://mrshearingeconomics.weebly.com/ What has been amusing my students is whether the object of my affection is Mr Shearing or Mrs Hearing…and of course there’s always Geoff Riley whose expertise and generosity know no bounds. This entry was posted in Other stuff, Teaching and Learning. Bookmark the permalink. I do completely agree. This is what happens when you leave education to market forces – it becomes just another product, a key characteristic of which is certainty of delivery. Real learning is by nature uncertain. But the rest of the system has colluded, too, in bring this state of affairs to exist – schools need results and pupils and parents demand results. Results are most easily delivered by dealing in certainties. Schools have pushed teachers in this direction by the dire consequences of not delivering results – and I regret that in too many cases, it’s not only the exam markers who seem to lack sufficient knowledge to do otherwise. We now have new teachers coming through who have known nothing different themselves, and think that this is all there is to education. I doggedly persist in teaching the subject not the exam; my student feedback and exam results convince me that it *can* still be done this way, but it does now mean fighting the system – and expectations on all sides. The state of affairs you describe is deeply depressing and for me marks nothing less than the death throes of academic education in Britain. Those who have advocated business-friendly training have got their way – but they are finding that it is producing closed minds not open ones. I was once taught accountancy as follows – “the examiner will want to know that you understand this, so you need to say these four things – learn them.” Which seemed to me to be an abuse of the concept of understanding. I know a young person who is doing RS who says “I don’t want to answer in stereotypes” – their answers are apparently good for A-level but not for GCSE. But then again understanding is a rather synthetic concept to capture in an essentially reductionist mark scheme, and identifying understanding requires judgment which cannot be completely objectified. Pretty reasonable description of the freedom provided by the INGOT assessment model now accepted in 3 qualifications that attract headline league tale points. There is scope to change the way assessment is approached but it needs the will and imagination to do it. I once submitted a piece of student GCSE coursework (Maths) that was so good (linking astronomy – his hobby – and an algebraic proof that was extremely complex) that I sought support from a lecturer at Cambridge University to help check it’s accuracy. It was amazing and awarded it 24/24. On moderation it was marked down to 20/24 because it hadn’t “ticked the boxes” of record data; put results into a table; find rule; check rule by using it to predict 3 more examples and draw out to check. In isolation it would be mildly frustrating (he scored 100% on the exams anyway so an A* was always going to happen) but there was a real risk that the whole cohort could be marked down due to our “over-marking” of this piece of work. Just sums up that the current system rewards “painting by numbers” over flair. It’s so wonderful to read this. Writing my piece in the Guardian was so hard-work because as I’m sure you know even though the both of us know there is a fundamental problem it is agonisingly hard to express what is actually wrong with it and you have crucially found the evidence. If you want the best marks then firstly you’ve got to buy the approved textbook and learn their definitions: I mean the idea that if an intelligent student gave a far more succinct and better definition of a concept that he would be barred from getting any marks at all because it isn’t the words in the mark scheme is bonkers, you need marker discretion. I too was dismayed at Gove doing a U-turn on the one exam board policy: I thought it was a brilliant idea as too was the concept of bringing in a completely new exam system with a new name, it would completely wipe the slate clean. Thanks Harry – I’ve just added a remarkable example which I discovered today when looking over the mock papers I’d marked. The OfQual view of single exam boards was that it’s a good idea in principle but at this point in time, the system couldn’t cope with the transition. a)There would be an unstable period when some exam boards were being shut down for certain subjects but their courses were still running – making it impossible to hold a line on standards (in their view) b) The cost of all the commercial compensation would be significant – possibly prohibitive. It seems we’ve got a monster that will be hard to kill off, even if everyone wants to. There was also the issue of the particular model that the SoS was suggesting – basically a 5 year competitive tender. I think it was the select committee who picked up some of the flaws in this model although we certainly made them strongly in our consultation response too. All the examboards would “bid” for the right to run certain subjects and the SoS would him/herself (!) have the decision of which contracts to award to which boards for which subjects. It may be that AQA win Maths for 5 years; EdExcel win Physics; OCR win History and so on. Part way through that 5 year contracts they would be put up for renewal – before anyone had had chance to reflect on how the current ‘holders’ of the contracts were doing. Of course by now EdExcel and OCR would have jettisoned their Maths teams as they had no work to do (since AQA hold the contract) and therefore wouldn’t have the capacity to mount a serious bid. I understand that AQA identified that their very existence would be at risk if they lost out on the big subjects that they currently dominate the market in (English, English Lit for examples). If by some arrangement AQA or EdExcel did mount a bid for, say, History and beat the current ‘holders’ OCR to the next contract we could then see all the resources developed for the old OCR spec being dumped as the new AQA or EdExcel spec could focus on a wholly different period of History. We’d end up in a continual cycle of staff development time not being spent on becoming better at the craft of teaching but rather spending the time designing resources and coming to terms with the new specifications. One examboard is a good idea – but it should be one national examboard and not just a competitive bidding process between existing boards. So what is the solution given the constraints? The profession has the power to do something about this rather than just wring its hands over it. Hint: You are generally looking at the same people who created this system to change it. That won’t happen. Good to see this in black and white. As a teacher of a creative arts subject there has been increasing pressure from parents to be able to guarantee an A/A* grade as other subjects seem to be able to do. Of course artistic talent can’t be learned from a text book, and therefore the arts is the one area where as teachers we can still teach our subject and not be dictated to by a textbook, unfortunately it means that grades driven parents are often advising their children not to opt for our subjects. It will be helpful to refer to this article in future options evenings. The trouble with “flair” is that it is entirely subjective. I share your frustration. Also, I am looking forward to my predictions about what will be on the AS English Language and English Literature being close (because of what is in the text books, not because of arrogance).